You can take an active part in this website and share your own running tracks, files and photos by registering below. You will receive an email giving you an access code to the private area of the site. The private area of this site is opened to visitors after registration. Once you have registered, you can review the articles in progress, submit articles and participate in all the forums. Enter here your name and e-mail address. You will receive your personal identifier shortly by e-mail. 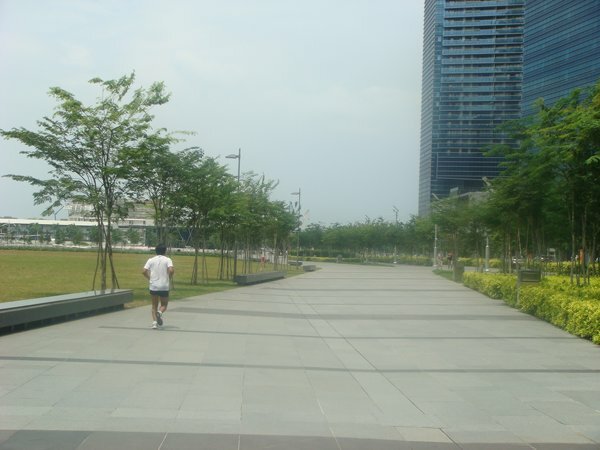 This Marina Bay loop is the most centrally located running track in the whole of Singapore - literally at the doorstep of the Central Business district. 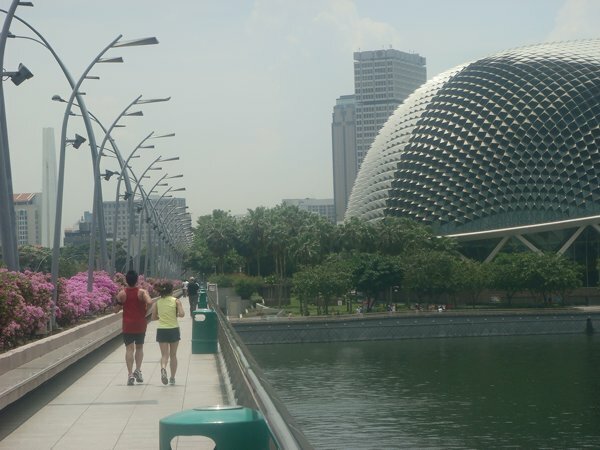 The loop of the Marina Bay is possible only since 2010, with the opening of the Marina Bay Sands, the adjacent waterfront promenade and the Helix bridge leading to the Esplanade theater. The scenery is stunning, whether at dawn or dawn, or in the heat of the 12pm lunch break : the Marina Bay Sands with the Arts museum and the Helix bridge, the skyscrapers of the CBD, the Esplanade theaters, the Fullerton hotel and finally the Merlion. For all the finance folks, this could be your ideal lunch exercise place instead of accumulating calories at Lau Pa Sat foodcourt or the latest dumpling eatery. By public transport: The closest MRT station is Raffles Place, exit NTUC building brings you to the exact departure point. 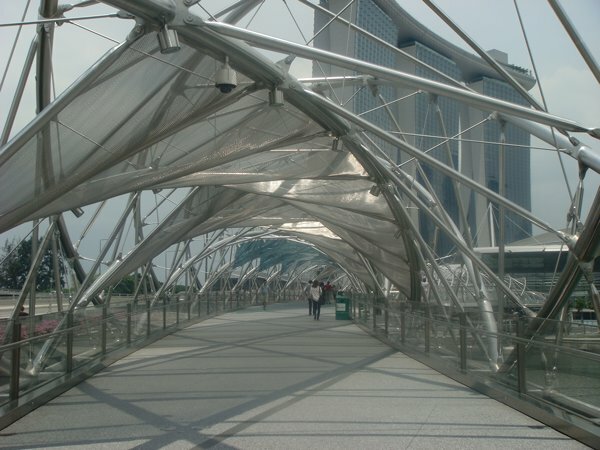 Alternative MRT stations are City Hall, the Promenade or the Esplanade, and finally Marina Bay. By car: CBD parking lots are expensive. It makes only sense to run here if you have work or other business to do in the area during the day. The track: One loop is a little more then 3km. You can start pretty much at any place, depending on the work location. 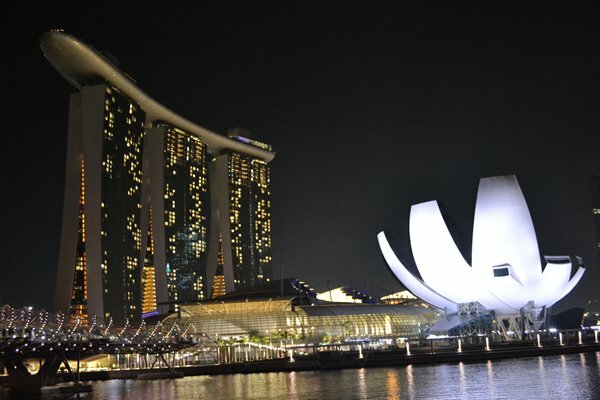 If you start from Raffles Place MRT: from the MRT exit NTUC building, pass by the Fullerton hotel lobby and run along the waterfront, along the line of restaurants, until you reach the Merlion. There go up the stairs and cross the Esplanade bridge. On the other side of the river, head down to the Waterfront again, along the Esplanade theater. Continue until the floating platform. It might be closed at times, so you may pass behind it. 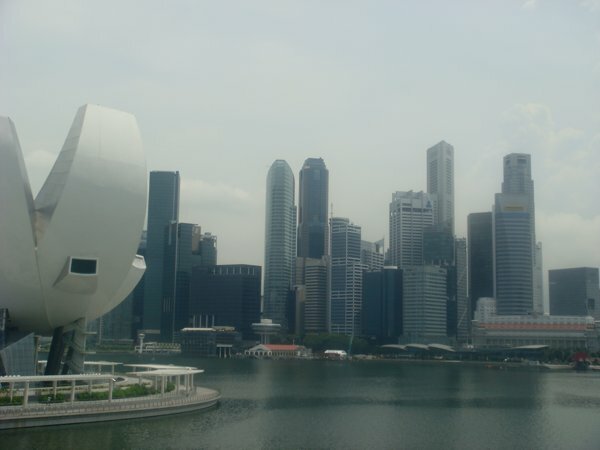 Then turn right and cross over to Marina Bay sands over the Helix bridge. 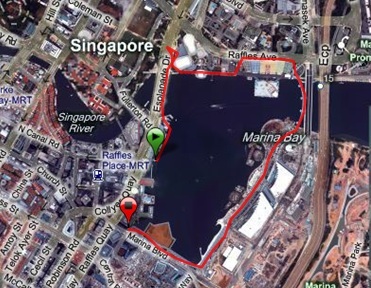 Finally, run along the Marina Bay shopping centre, heading back to the CBD. 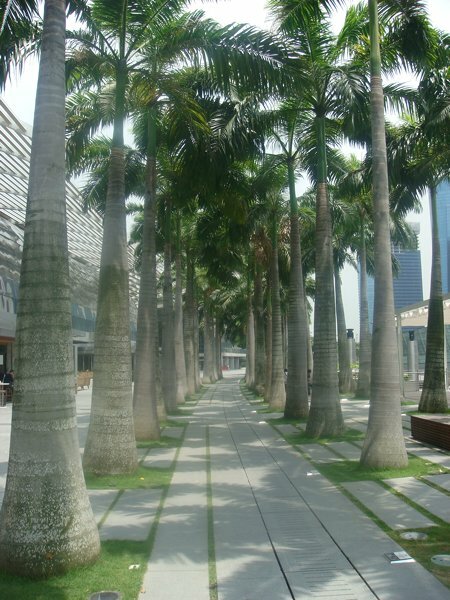 Pass by the Marina Bay Financial Center, then One Raffles Quay, back to the departure point. The best is to run early morning. During the evening, the route may be crowded with tourists at times; and at noon, it can get very hot and the track is exposed to sun from all sides. Water point: I didn’t see any on the way.